The Builders Exchange of Central Ohio awarded Mid-City Electric’s crew at the Ezzo Dry Sausage Plant with a 2017 Craftsmanship Award. Crew members being recognized include Jeremy Ayers, Bob Christensen, Chuck Kennedy, John Obert and Art Wallace. The Ezzo crew completed the electrical installation and existing system upgrades at the Ezzo Dry Sausage Plant in August 2016. This is Mid-City Electric’s 26th Craftsmanship Award to date. 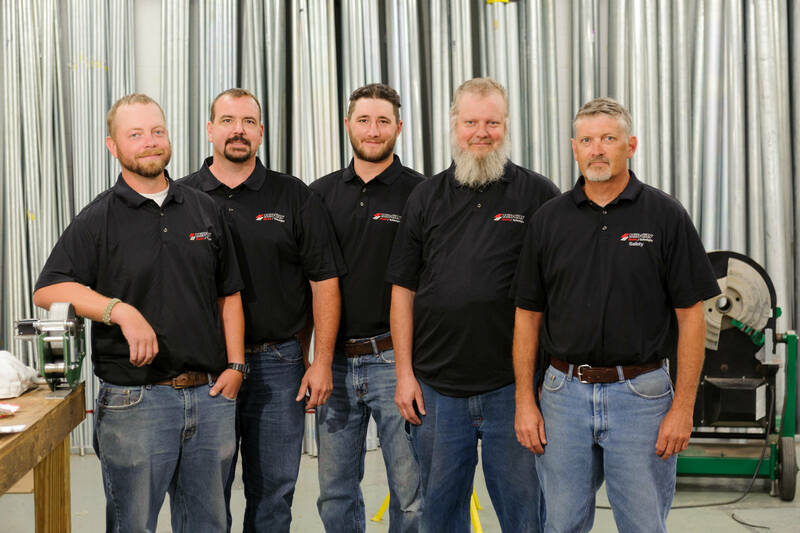 Part of the crew’s success on this project resulted from an innovative on-site prefabrication station and radio-ordering system the team created to streamline conduit installations, most of which were executed from 30-foot lifts. The crew’s new method will be replicated on future Mid-City projects, and be used as a best practice model for projects requiring aerial lifts and prefabbed conduit bends in the future. The process that they created improved the overall quality of the installation by reducing opportunities for errors when creating the conduit bends, shrinking material waste, and eliminating possible safety hazards associated with entering and exiting aerial lifts. The project crew will be honored at the Builders Exchange of Central Ohio Annual Meeting in November, alongside six other Craftsmanship winners from various Columbus construction firms. Congratulations to the crew on a job well done!